Jalapeño Popper Grilled Corn Salad Recipe By Nicole Harris | Wonky Wonderful. This Jalapeño Popper Grilled Corn Salad Recipe brings so many great flavors together in one amazing side dish! 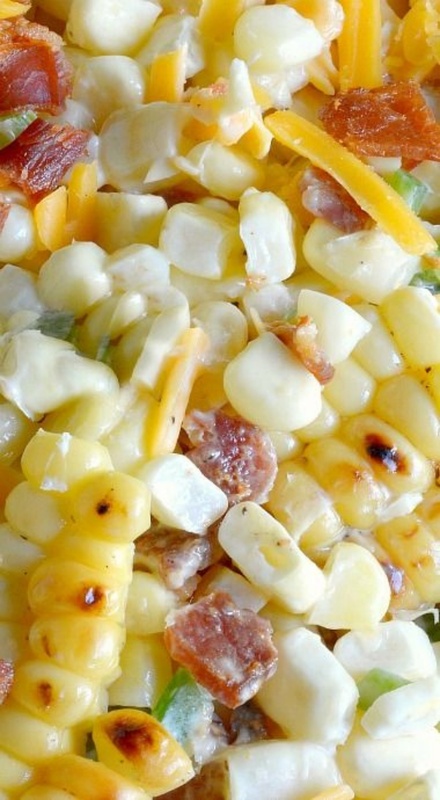 Fresh grilled corn, bacon, jalapeño and cheddar cheese in a creamy summer salad.